The Call for Proposals is now open for the 34th annual Distance Teaching & Learning Conference. The submission deadline for proposals is: 23 January, 2018. 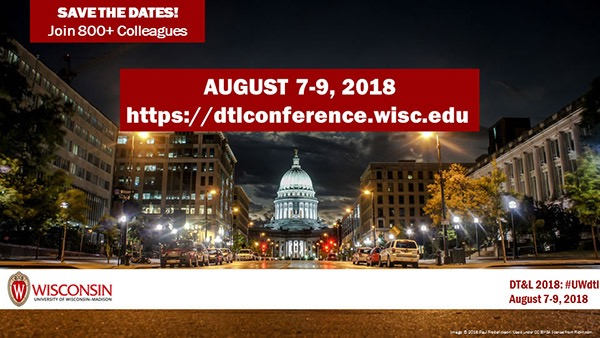 The conference talks place August 7-9, 2018 in Madison, WI. Hope that you can be there to attend (or present). 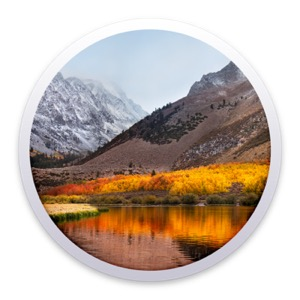 Apple's newest upgrade to the operating system for Mac computers, macOS High Sierra (10.13), has been certified by DePaul as a supported version. Orders for new Mac computers may now resume. IMPORTANT NOTE: An update to the McAfee Agent is required BEFORE proceeding with the macOS upgrade. You may verify your version of McAfee by running the validation utility found on the IS website. If you need to update your version of McAfee, please run the McAfee Agent installation within Self Service. Also note that McAfee has ended support for all OS versions prior to OS X 10.11; if you are using OS X 10.10 or older, you must update your computer to a supported version as soon as you are able. Microsoft requires a minimum version of 15.35 for Microsoft Office 2016; please upgrade Office applications before performing the upgrade to macOS 10.13. This can be done by launching any Office program, navigating to the Help menu, and clicking Check For Updates. Thank you for your patience and understanding. If you have any questions or need assistance regarding this upgrade, please contact the Technology Support Center at 312-362-8765.